The first name in food dehydration presents the 3000 Series, featuring the exclusive turbo charged Parallexx Drying System. 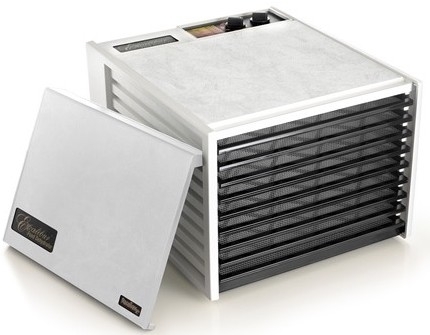 The Parallexx design, with a temperature controlled, fan forced, horizontal drying system mounted in the rear is exclusive to the 3000 Series. The same features found in Excalibur's USDA approved $5000.00 commercial model...in an affordable home unit. Almost unbreakable and FDA approved Polypropylene trays. Inserts make cleaning a snap. Noryl plastic cabinet and plexiglass door.